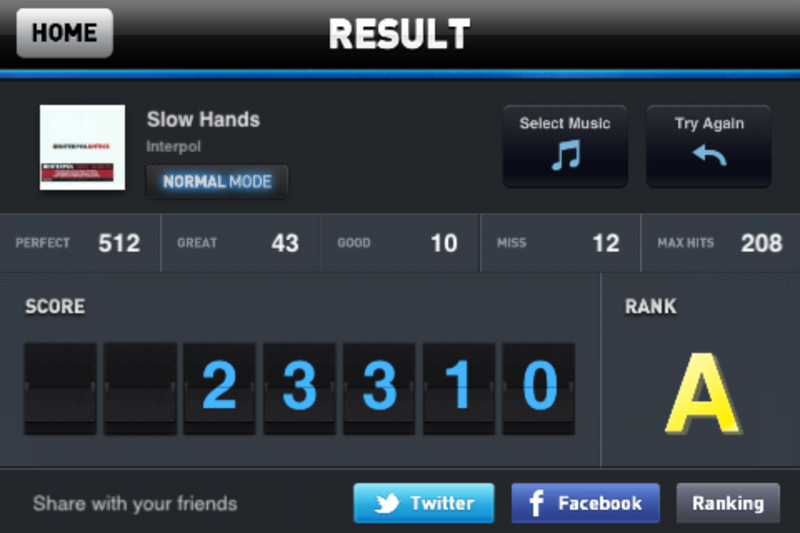 The Real DJ (iTunes link), developed by Float32, is a brand-new addition to the rhythm genre of games. 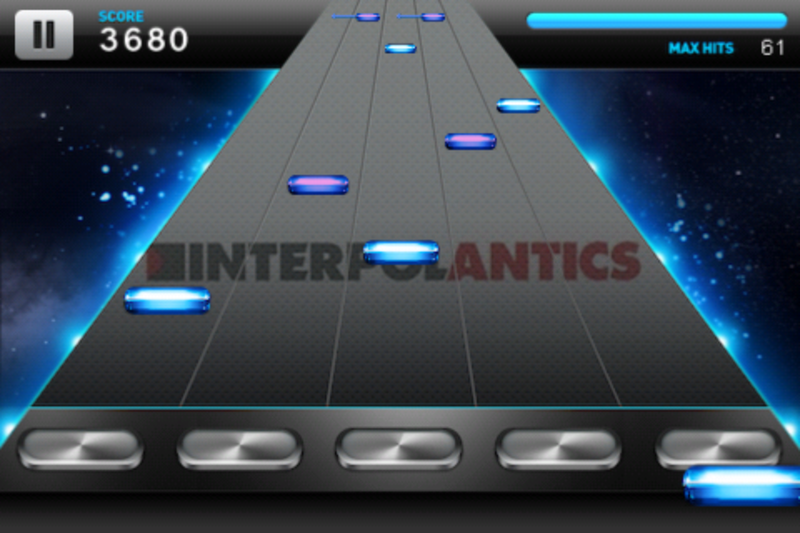 Featuring great graphics and multiple difficulty levels, this game is sure to please anyone who enjoys music apps. 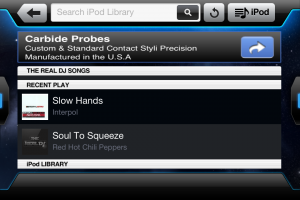 The free version of the app allows you to use songs from your iDevice’s music library. If you’re unsure where to start, The Real DJ has an excellent tutorial section which will guide you through the basics of the game. While selecting which song you want to play, keep in mind that songs with a defined beat (electronic, techno, rock, etc.) are best for this game. Sporting four difficulty levels (Easy, Normal, Hard, and Crazy), The Real DJ is sure to fit a range of skill levels. The game is very easy to learn, but difficult to master. It takes a while to get used to focusing on the screen instead of listening to the music for rhythm because the game isn’t always 100% accurate with analyzing songs. One thing I noticed while playing The Real DJ is that I found myself consistently being baffled by my decent performance on difficult songs. I found it’s not as accurate as genre defining titles like Guitar Hero, which can be both good and bad. To me it feels like the game gives you a little room for error as far as hitting notes with good timing and precision. If you’re looking to spice up the app a bit, you can purchase the optional Premium Pack, which removes the limited daily play count, ads, and allows you to use custom background images. The in-app upgrade will set you back $1.99. 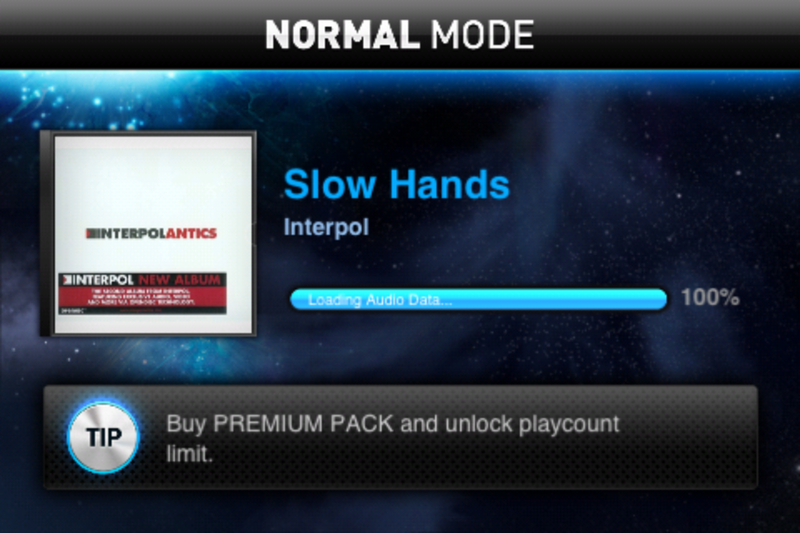 Also, The Real DJ is OpenFeint enabled so you can show off your awesome talents to your friends in the world. 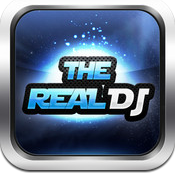 If you’re looking for a free game which is very entertaining and addicting, The Real DJ is one you can’t go wrong with. Unfortunately The Real DJ might not support iPhone 3G/iPod 1G/iPod 2G/iPod 3G. 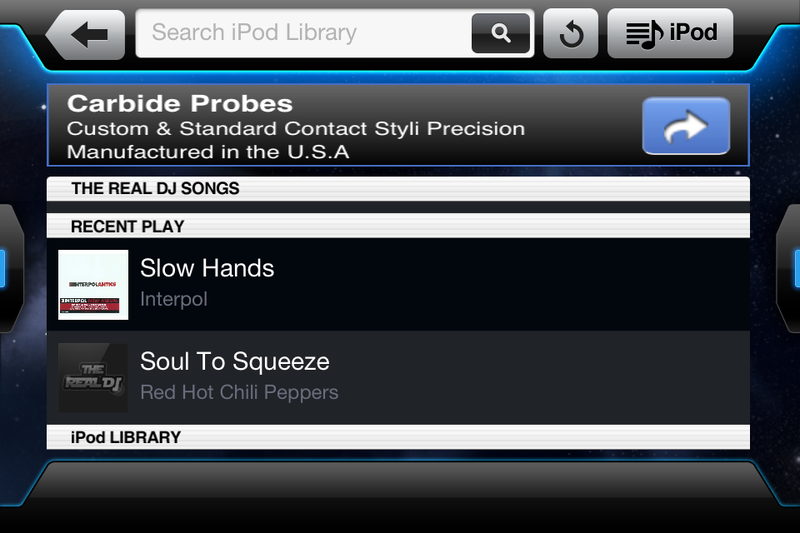 The Real DJ is compatible with iPhone, iPod touch, and iPad. Requires iOS 4.0 or later. A small expedite fee was paid by the developer to speed up the publication of this iphone game review.